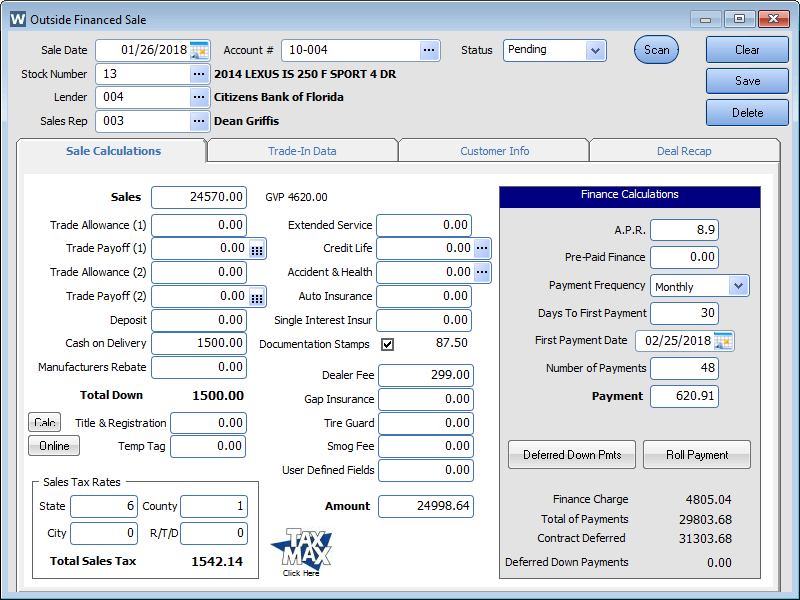 All types of sale transactions, no separate modules to purchase! 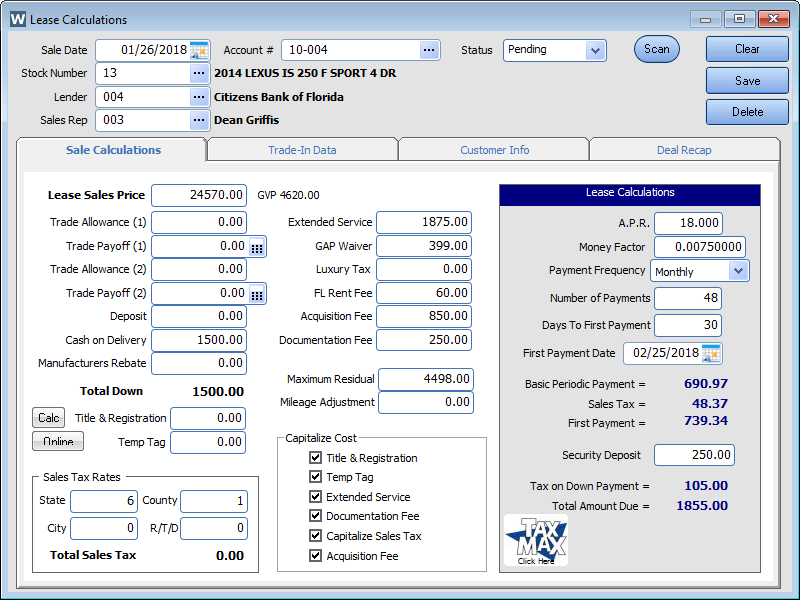 InterActive gives you the ability to work multiple sales transactions at the same time and switch sales from one screen to another without re-entering information. 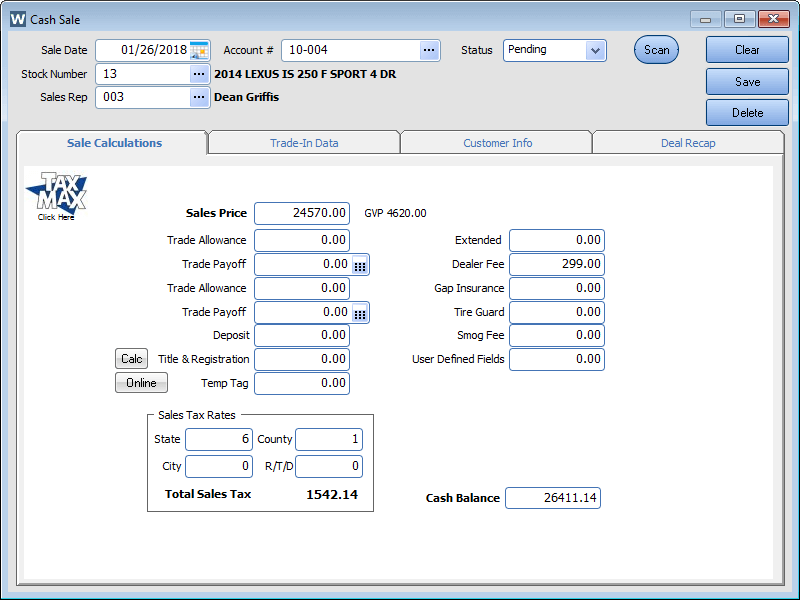 From any sales calculation screen simply enter the bottom line and InterActive will roll all sales numbers back to the sales price. 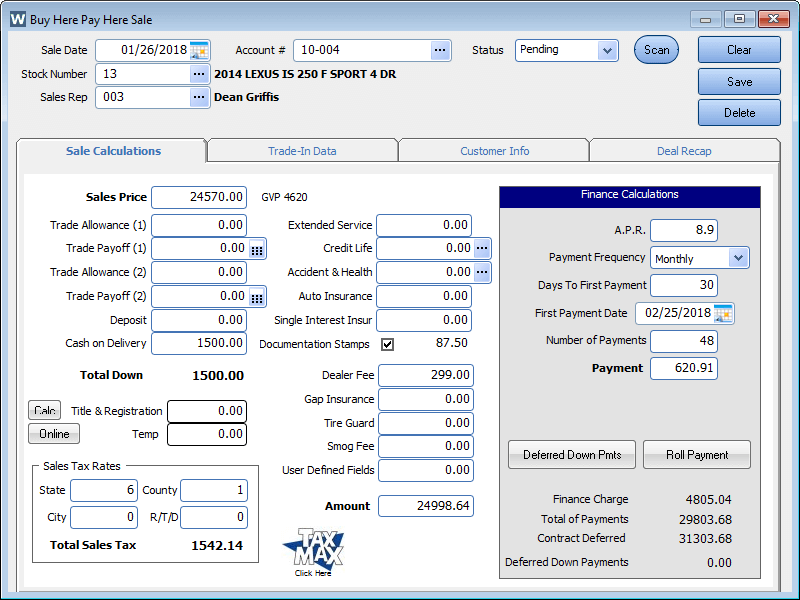 Need to adjust the payment amount you can roll the differences into sales price, cash on delivery or adjust APR. Need to set the payment to a whole payment amount for your buy here pay here customers, just type the payment and InterActive will set the number of payments to meet the need. 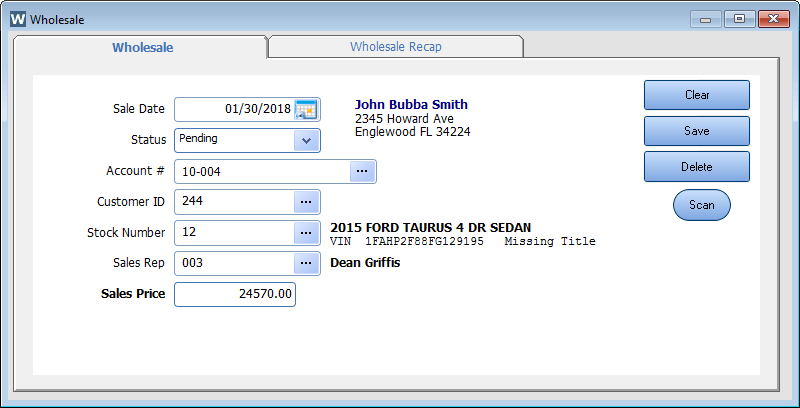 Deal Recap allows you to set the cost associated with any of your additional products you sell and link them to your vendors and service providers. See and calculate all related cost to arrive at a true profit and loss per sale. User Access control allows who sees what and how the sale is structured. We make working with InterActive DMS easy and effective.